I’ve probed the hidden my entire life. I can’t remember a time I wasn’t studying the occult. I remember being nine years-old and taking out books on psychic phenomena, Edgar Cayce, reincarnation, and so forth along with my trusty Nancy Drews – and wondering why the librarian was looking at me odd. Another love of mine has always been the Victorian era. The Victorians were fascinated both by the world around them (evident in all the inventions of that century) and in the nature of man. Forget the the images of distant, cold persons so prudish that table legs had to be covered. Heightened social awareness propelled Abolition, the Suffrage Movement, education and work reform. New ideas sprang everywhere: Transcendentalism, Egyptology, Spiritualism, Theosophy, the Golden Dawn, Unitarianism. Health movements such as homeopathy, mesmerism, vegetarianism, hydrotherapy. It is amusing to think many now look upon those times as “genteel”- when the Victorians feared their lives had become too fast paced due to the railroad and telegram. In the 19th century- the “Newness”- was all around. With my great passion for the so-called supernatural and 19th c. history- it feels a natural progression that my writing should be fueled with these elements. What are the passions that drive your novel? Laura Bridgman was born on December 21, 1829 to a family of farmers in Hanover, New Hampshire. At two years- old she was struck with scarlet fever and lost her sense of sight, hearing, smell, and even most of taste. Only the sense of touch remained. Pushing meant, “Go”. Pulling meant, “Come”. Soft patting was approval while heavier smacks indicated disapproval. Frustrated by her lack of being able to communicate her desires, or understand others, it is little wonder she threw fierce tantrums which only her father could somewhat control. 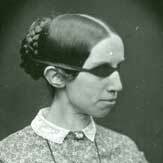 Laura’s plight caught the attention of Dr. Samuel Howe, the first director of the Perkins School for the Blind in Boston. Founded in 1829, it was the first of its kind in the United States. Howe was a social reformer who challenged John Locke’s theory that people only gather information through their senses. Instead, he followed the Scottish Common Sense Philosophy which stated God instilled people with innate skills. In the early 1800s, blind-deaf persons were considered virtually impossible to reach. Howe was anxious to become Laura’s teacher. If he could educate a child who’d lived in her own world almost since birth, he’d once and for all disprove John Locke. Through Laura, he could prove humans were not born with blank minds. No one had ever before been able to teach language to a blind-deaf person. Howe traveled to Hanover and convinced Laura’s harried parents to allow him to try educating her. In 1837, Laura entered the school. At eight years-old, she did not know her own name. Howe first taught her words before individual letters. He pasted papers printed in raised letters upon common items such as keys and silverware. Once she comprehended that these “bumps” signified the object, he taught her the alphabet and how to combine letters to form words. From there, Howe taught her how to communicate with others through the manual alphabet. Two years after entering the school, Laura was able to write her own name. Once adept in language, she followed the general curriculum of other students: reading, writing, math, history, geography, geometry, and philosophy. Laura’s success attracted people from all over the world. Charles Dickens visited her in 1842, and with his usual over-sentimentality described her as, “pure and spotless as the petals of a rose”. In reality, Laura, though amiable, was quick-tempered and moody. Fame had its price. Victorians were fascinated by “freaks”, and unfortunately, Laura became a sideshow. Hundreds of tourists came weekly to watch the girl “perform” by finding places on a relief map or signing her name. Little girls poked the eyes out of their dolls and named them, “Laura”. Howe, himself, played a part in some of the pageantry. He brought his most talented pupils on tour, including Laura. On stage, they performed plays and recited poetry. While Howe wished to change the public’s general perception of those with disabilities, it is also evident that he was soliciting donations. In 1843, Samuel Howe married Julia Ward and left for a honeymoon in Europe. During his absence, Laura began to read religious tracts that differed from Howe’s own Unitarian beliefs. She found his God to be too abstract and wished to feel a more personal Savior. After several months of intense reflection, she became a devout Baptist like her parents. Howe returned, incensed that his greatest pupil who he considered a daughter, had rebelled against him. In truth, Laura had entered puberty and was becoming a woman with her own mind. Laura taught needlework at the school and sold some of her own handmade crafts. Two of her greatest loves were reading and writing letters to friends and family. At the age of 59, she became ill and died on May 24, 1889. Laura Bridgman’s sufferings and triumphs were not in vain. In 1886, Arthur and Kate Keller had read Dicken’s account of her. Their own daughter, Helen, had also been struck with scarlet fever at the age of two and had become blind and deaf due to its horrible effects. They hired Annie Sullivan, a graduate of Perkins, to teach their six year-old feral daughter. 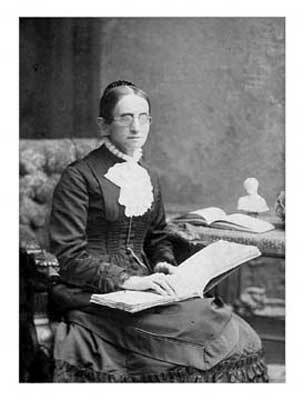 Using the methods Samuel Howe had used on Laura Bridgman, Annie Sullivan would become known as, “The Miracle Worker”. Her pupil, Helen Keller, learned to speak, read Braille in English, French, German, Greek, and Latin. After graduating from Radcliffe College with honors, Helen became a world-famous speaker and author. A human rights advocate, she spoke out for the suffrage movement and the abolition of slavery. 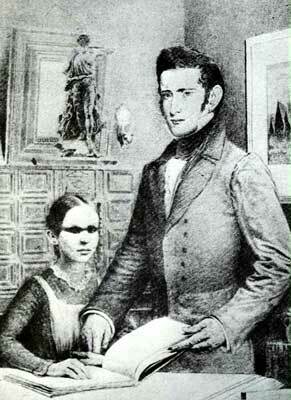 It must be remembered, that born a half-century earlier, Laura did not have the same access to braille books as Helen. Helen once stated that if Annie Sullivan had been Laura’s teacher, “she would have outshone me”. Thanks to Samuel Howe’s innovative teaching and a little farm girl who refused to live in darkness, a new world was opened for Helen Keller and all those who followed.